Not at all what I was going for, but not too bad either. I wanted to use the new Crumb Cake cardstock (formerly known as Kraft) with the new Crumb Cake pad and Woodgrain background stamp, but when I inked up all the cards, I really didn't have anything to go with them. 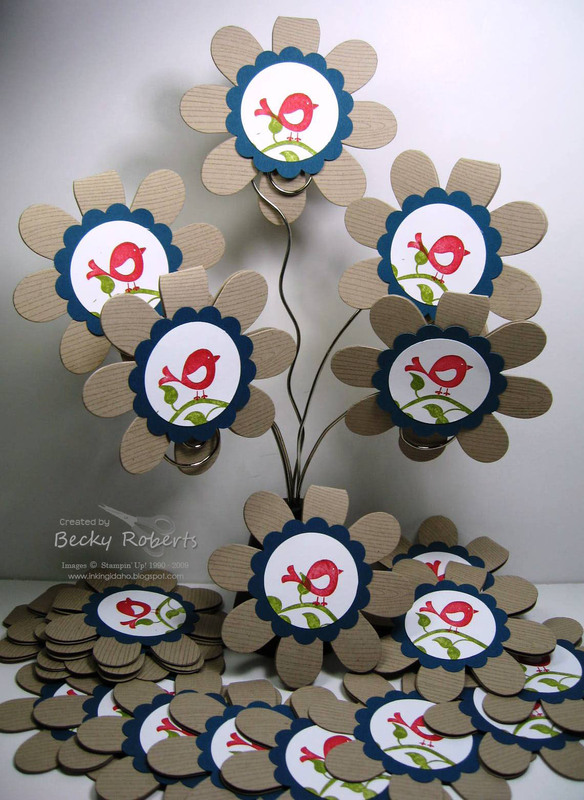 So I ran them through the Big Shot and the XL Flower Folds die-cut and made flower cards. I used my new Color Coach to see what colors coordinate with Crumb Cake and it showed Not Quite Navy and Riding Hood Red. 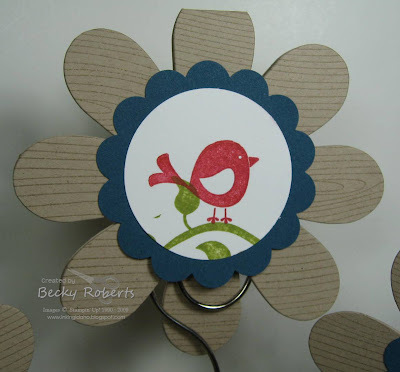 So I used those colors and the new 2-3/8" Scallop Circle punch with the Cheap Talk Stamp Set. adorable! These would make great favor tags too! What a great idea to use the Flowers die as a card !! GENIUS !!! Love the flower card, very clever. Just wondering if the Crumb Cake paper is flecked like the Kraft is? Very cute flower cards. Would be adorable hanging from a gift bag. One quick, hopefully not totally goofy, question for you. What is a color coach? Happy Day!